Labels: Food Intolerance, Gluten Intolerance Posted by Yann_Chef on at 5:24 p.m.
Teff, eragrostis in Latin, is believed to have originated in Ethiopia between 4000 and 1000 BC. Teff seeds were discovered in a pyramid thought to date back to 3359 BC. The word teff is thought to have been derived from the Amharic word teffa which means "lost," due to its small size it is easily is lost if dropped. It is the smallest grain in the world, measuring only about 1/32 of an inch in diameter. It takes 150 grains of teff to make the weight of a grain of wheat. 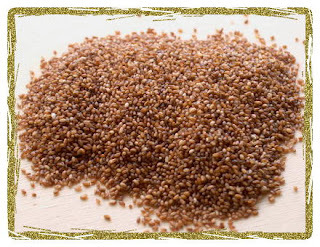 The common English names for teff are teff, lovegrass, and annual bunch grass. This grain has been widely cultivated and used in Ethiopia, India and Australia. It would seem that because of its superior nutritional qualities, teff would be available to all persons in Ethiopia to make injera. However, while it is the preferred grain in making injera, its availability is limited by its high cost. 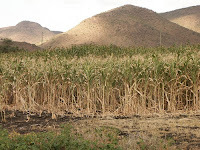 Teff is currently the most expensive grain to purchase in Ethiopia as it requires labor-intensive harvesting and processing techniques, and produces especially low yields. Although teff covers the greatest land space in Ethiopia, it has the lowest yield per hectare, an average of 910kg/ha. In 1996-1997, teff covered 31% of the total landmass, as compared to 17% and 13% for corn and wheat respectively. The total yield for the teff grown in that year was only 26-28%. The nutritional value of a portion of 100g of teff is as follow: Energy 1452 KJ. Protein 10 g, Fat 2.5 g, Carbohydrates 76.5 g (Fibers 3.5 g, Starch 73.0), Food fibre 5 g, Lysine 2.80 g, Isoleucine 3.90 g, Valine 5.00 g, Phenylalanine 4.80 g, Tyrosine 2.10 g, Tryptophan 1.50 g, Treonine 3.40 g, Histidine 1.90 g, Arginine 3.40 g, Methionine 2.50 g, 387 milligrams of calcium, 15 milligrams of iron. It is also a rich source of other minerals including magnesium, boron, copper, phosphorous and zinc. Note that teff is gluten free making it suitable for Coeliacs. Teff is grown in Ethiopia and Eritrea predominately for human consumption. It is ground into flour, fermented for three days then made into injera. 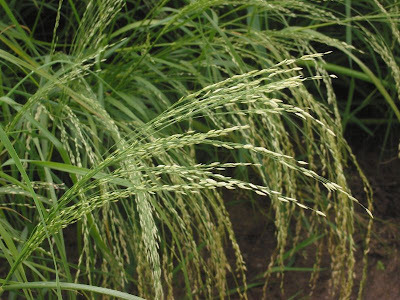 It is also used in porridge and used as an ingredient in home-brewed alcoholic drinks. Teff is used in mixtures with soybean, chickpea and other grains and is becoming popular as baby food because of its high mineral content. In Ethiopia, teff has multiple other uses including acting as reinforcement for thatched roofs and mud bricks.The grass is grown as forage for cattle and is also used as a component in adobe construction in Ethiopia. Cool story you got here. It would be great to read something more about this theme. Thanx for giving this info.